NASI LEMAK WITH RENDANG A fragrant coconut rice dish accompanied with anchovy sambal, sliced cucumber, egg & roasted peanuts. Considered the “Malaysian National Dish”- vegan options available. 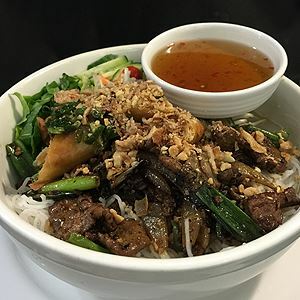 For a true taste of Malaysia in Canberra, visit Malaysian Chapter in Belconnen. This Weedon Close eatery's front glass windows create a well lit dining environment, while beautiful hanging handicrafts and friendly service ensures that every diner's experience is a relaxing and enjoyable one. Appetisers such as the cassava crackers and flaky roti canai served with lentil curry are reminiscent of the tastes and smells found on the streets of Kuala Lumpur, while heartier mains such as the spicy beef rendang and sayur lodeh (Malaysian vegetable curry flavoured with fresh lemongrass, turmeric and galangal) are likely to excite all tastebuds. 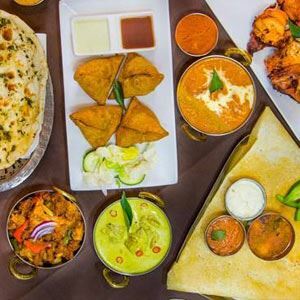 If you are unsure on choice, Malaysian Chapter offers banquet options for both lunch and dinner so you can work your way through a selection of dishes. Yum, yum, yum - delicious Malaysian food with an Indian influence. An understated family run oasis away from the city. 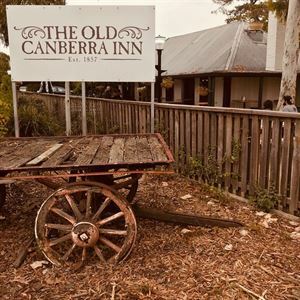 So pleased that we unearthed this little gem and will patronise regularly on our trips to Canberra. This is my favourite restaurant .